With the official start of summer underway, it’s time to start planning your next summer adventure, and from planning to getting you there, there’s an app for every step of the way. 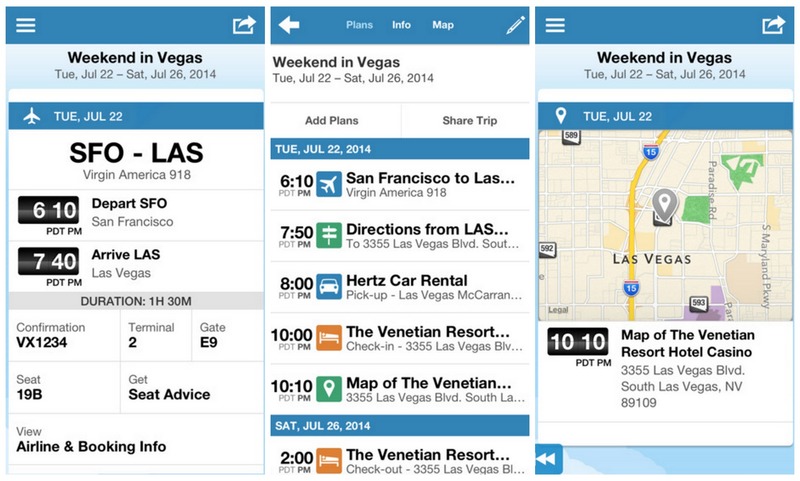 With its credibility as a travel booking service, Hipmunk is an essential when it comes to planning for your trip. 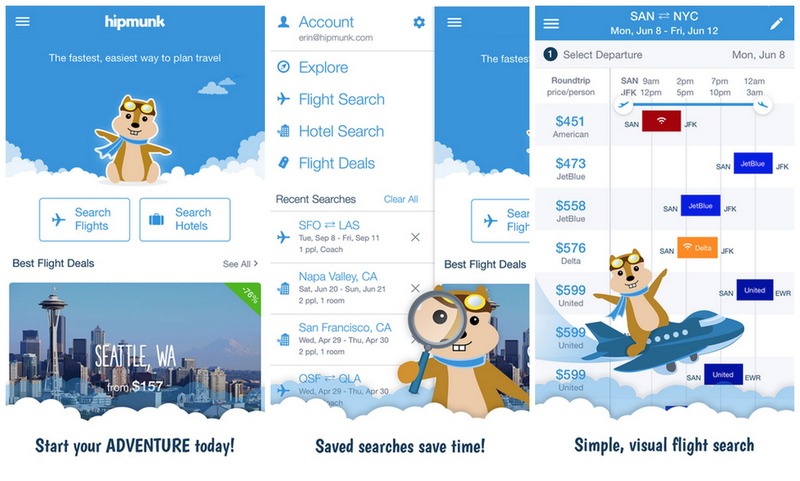 The app allows you to find hotel deals near you, browse hotels by city, and search for flights. What makes this app unique is that you can find itineraries with the least amount of layovers and hassles first, followed by trips that are less expensive. 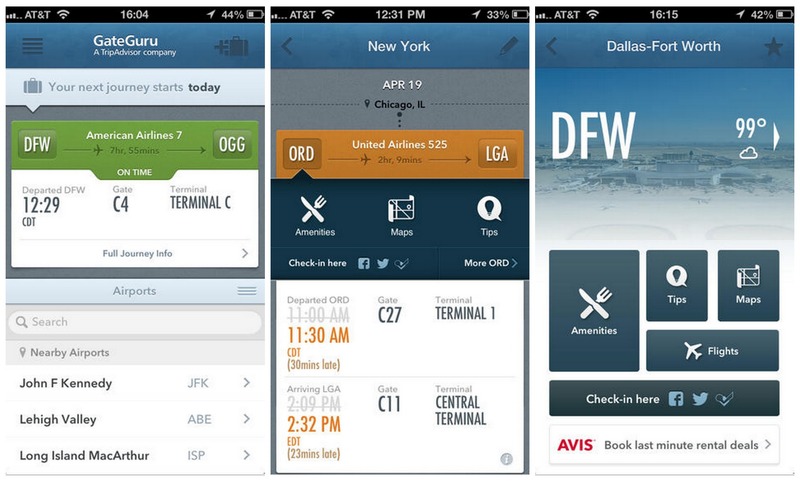 You can also set fare alerts for your searches so you’ll be notified when there’s a deal on flights. 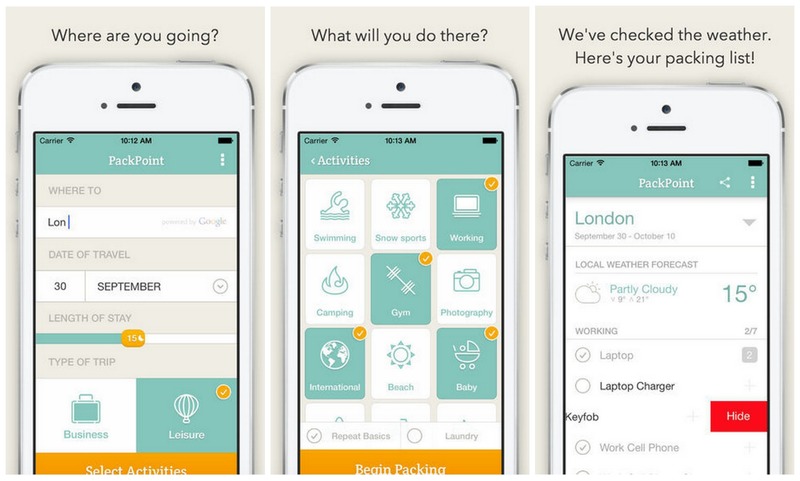 Packing can be a headache, but luckily, there’s an app that’ll help you streamline the process. PackPoint is an intelligent app that’ll help make sure you have all your necessities so you can pack more efficiently and confidently. This app is a smart checklist; you can enter the length of your trip so that it can tell you how much of everything you need. 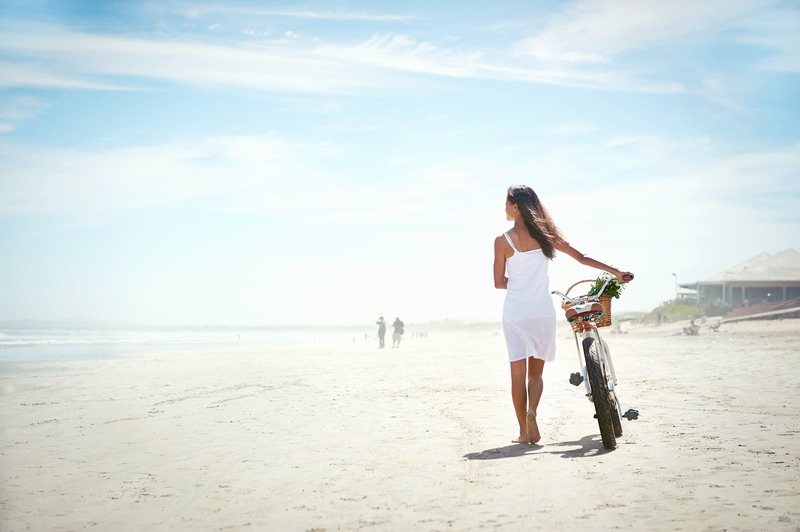 It’ll also modify your list based on activities you have planned or whether the trip is for business or pleasure. And no need to periodically check the weather anymore as the app also takes into account the forecast of your destination so you know whether to bring shorts or a raincoat. When it comes to navigating the airport, it’s essential to keep track of flight confirmations and delays, especially when you have a layover. That’s where GateGuru comes in handy. Automatically create a flight itinerary by forwarding your travel confirmation emails to the app or by linking your TripIt or Kayak account. It also acts as an airport guide, with maps and tips on how to best navigate the airport, food and amenity information including ratings and reviews, estimated TSA security wait times, and live arrival/departure information. What’s more, you can now book last minute rental cars with exclusive discounts only available on GateGuru. Voted one of the best travel apps out there, TripIt allows you to forward all you reservation emails, confirmation numbers, and flight times straight to the app so you can have all your valuable information organized in an interactive itinerary. No more fishing for hotel and car rental confirmation emails or wondering what flight number you’re on before you check in; it’s all there in one handy spot. It’ll even allow you to see if there’s a better seat available on your flight so you can travel more comfortably. 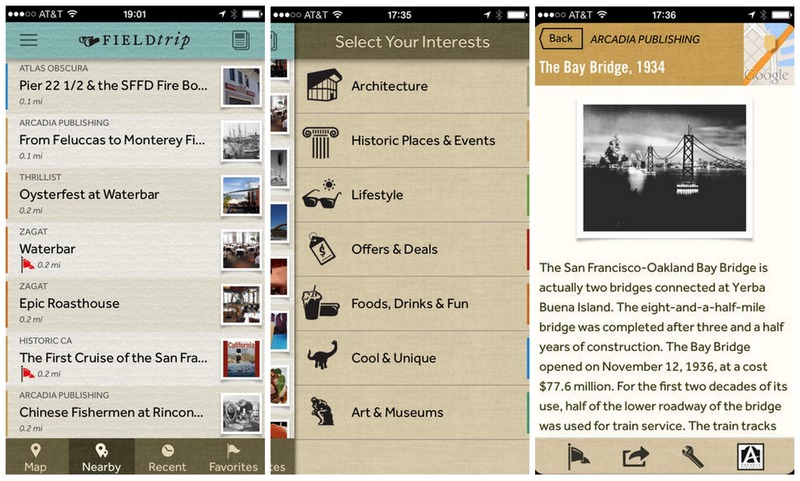 Besides TripAdvisor and Yelp, Field Trip is a great app that’ll let you truly experience local culture. The app automatically pinpoints and notifies you of all the hidden, unique hotspots near you, including landmarks, museums, eateries, clubs and more. You can also set up the app to only notify you of local events and activities; whether it’s live music shows, family friendly outings or outdoorsy pursuits, you can easily bypass the touristy attractions and discover neighborhood spots off the beaten path. Who ever said postcards are a thing of the past? 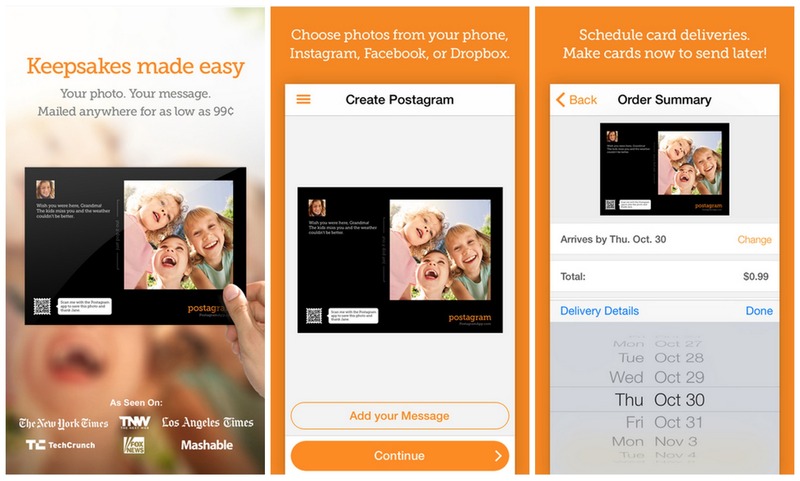 With Postagram, you can bring this tradition into the digital age by sending personalized photos and messages right from your phone for only $0.99, postage included. No need to stop by a gift shop or the post office!